Rosedale is trying out a new composting solution for the garden. Bokashi (acidic anaerobic) fermentation is the simplest, least costly, and fastest way of recycling organic waste. It is an anaerobic process with specialized microbes and requires only 10 days to reach its end point. Victor Restrepo of Innovative Organics was at the garden on Saturday, April 23, to demonstrate the technique to gardeners. Everyone in attendance agreed that we should give this new composting method a try. One of the great aspects of Bokashi is that all plant material in the garden can be composted–even the dreaded bind weed. The acidic nature of Bokashi composting ensures that weeds and pathogens are eliminated, and that the resulting product is a healthy addition to the garden soil. 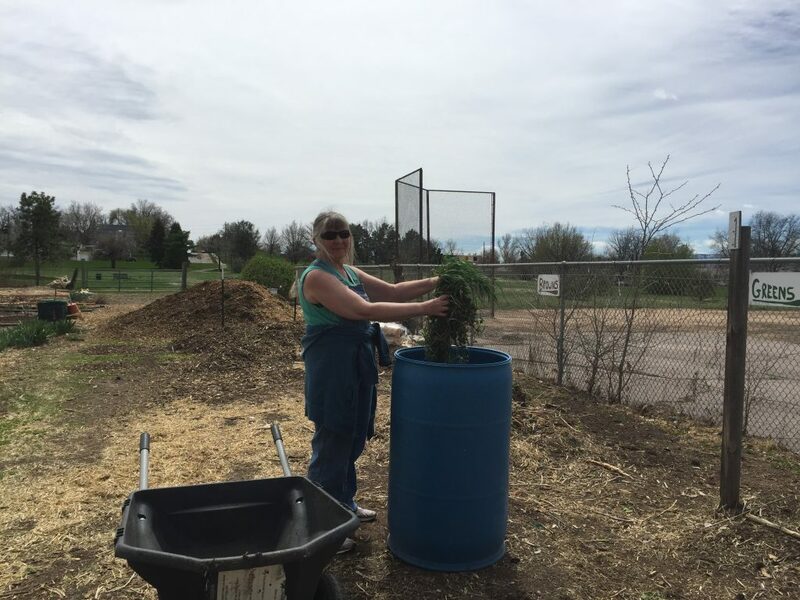 We’ll have a more detailed description of the Bokashi composting method in the next few days, but in the meantime, look for the new blue barrel in the garden back by the composting area. Feel free to add any plant material that you pull up in the garden to the barrel. When it is full, we’ll add the Bokashi microbes and start the process. After an initial testing period, we’ll be able to determine how many barrels we’ll need in order to manage the amount of plant material generated by the garden. Here’s Marilyn tossing in the first batch of weeds, grass, and plants that she pulled from her garden.